Writing a thesis paper. What does it entail? Well, for starters, you need to ground your work on rigorous academic foundations. That means spending several hours in a library researching your topic and supporting all opinions and arguments with sound academic sources. Before all of that, you need to identify the main point, claim or argument of your paper though. This is where the thesis comes into play. What is a thesis statement though? It is a sentence, or two, that captures the essence of your paper. It presents a summary of the main points in an essay paper in a single sentence. Why is a Thesis Statement Important? Any successful essay needs a thesis statement. It is a crucial element since it guides the subject matter of an essay and lets readers know why your essay is of great significance. Let’s say your academic paper is about drug abuse and its relation to teenage pregnancies. You can’t simply jump into the topic before fleshing out a key argument or claim. A topic might be straightforward enough to give your readers an inkling of what you’ll discuss, but without a thesis statement, readers will, at best, have to fill in the banks on how drug abuse relates to teenage pregnancies. Going with the above topic, the concise argument would be “teenage drug abuse is directly related to increased cases of unintended pregnancies.” That single statement gives your audience a concise overview of what your essay entails. It also focuses your essay on an exacting subject matter helping you avoid any unnecessary deviations from your topic. With a strong argument, you’ll find carrying out research and writing a thesis paper becomes easier. You also have a statement that unifies your introduction, body, and conclusion, the essay structure tutors love. Now that you know what goes into writing a thesis, it’s time to jump into the deep end and learn how to write a thesis statement, regardless of your essay topic. Writing a thesis statement is pretty much like formulating an argument for a topic. Imagine you have to select a side in a debate. In a debate, you come up with several points to lead your argument. But there’s that single point that captures the essence of your argument. Let’s say you’re about to get into a debate on global warming. In your argument, you want to show that human activities are a leading cause of climatic change and result in high temperatures. You came across an interesting infographic showing how global climate recorded a temperature increase equal to 2 million Hiroshima bombs since 1900 as a result of greenhouse gases. Well, you can go ahead and present this infographic to your audience, but does it help your argument. No, it doesn’t. You haven’t made a case to argue. You haven’t shown how human activities led to the retention of heat equal to 2 million Hiroshima bombs and why is that is a good or bad thing. You’ll need to formulate an argument showing how human activities contribute to global warming and why that is a good or bad thing. That will be the crux of your debate. That will be your thesis. Here’s are a few tips to help students develop concrete and concise thesis, regardless of what you want to write about. Every thesis writer has to determine what kind of paper tutors want. You’ve probably come across terms like expository, analytical, and argumentative papers in your academic career. Each one of them calls for a different approach when formulating a thesis statement. For expository papers, you’re mainly going to explain a concept to your audience. That means early on in your paper, you’ll have to identify a primary concept and capture it in a sentence or two. 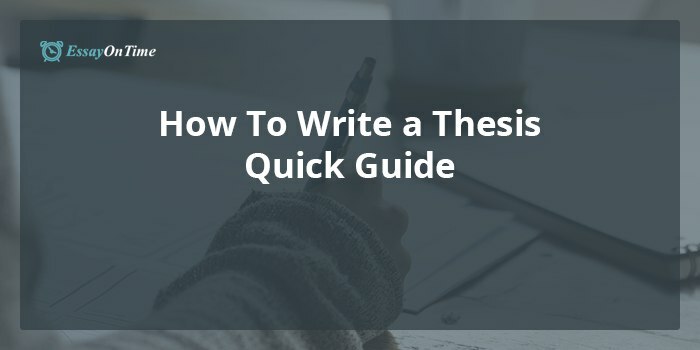 An expository paper has its thesis in your first paragraph and the main contention tends to flesh out what needs explaining and how it will be explained. Analytical papers, which tend to break down an issue or idea into distinct components, similarly features key postulation in their first or second paragraph. Once you’ve identified issues to be broken down, proceed to give your supposition so that readers understand the logic behind your breakdown. Argumentative papers are pretty much like debate examples used earlier. You’ll have to make a claim about your topic and justify it with specific evidence. The thesis is usually a claim in an argumentative paper/ That’s why you should have it prominently displayed early on in your paper. Now that you know where to place your primary assertion in any essay, it’s time to rack your brain and come up with a concise argument or claim showing the significance of the subject matter to be discussed. Your main premise should provide a road map of an essay. Your main premise shouldn’t be more than two sentences. Sounds simple enough, but when it comes down to it, condensing a whole essay into a single statement is easier said than done. Let’s go back to our global warming debate example. You want to argue that human activities contribute to increased greenhouse gases that trap heat leading to climatic changes with disastrous effects. That’s your argument, but it’s not the main point of your argument. A thesis statement example here would be ‘human activities release 30 billion tons of carbon dioxide every year contributing to a significant increase in greenhouse gases for more than 200 years. As a result, rising temperatures led to declining sea ice, melting of glaciers, and droughts.” That’s a concise claim that tells your audience which side of the debate you subscribe to. It gives also gives readers a sneak preview of your debate. After formulating the main argument of your paper, make sure it passes the “so what?” test. If the first response you get after reading your main argument is “so what?” It is not clear or specific enough. You’ll have to flesh it out so that it connects to your topic, speaks to the relevant issue, and contributes to how well readers’ understand your essays. You’ll also have to make sure that your primary claim in an essay provides specific boundaries for your essay and show readers why your thesis is important and how your paper address it. With these few tips, you should be able to formulate a premise for just about any essay. To recap, here’s a short FAQ to help you answer any questions you might have. Should you need help to write a thesis though, don’t hesitate to contact us! While it’s not a must (you can give your main postulation in the first paragraph, it is advisable to have it in your first paragraph. It helps you reign in the subject of your paper early on so that you stay on point. Can a thesis be longer than two sentences? Thesis statements are meant to be brief and concise. Never go beyond two sentences. What should I include in my thesis statement? Make sure you have a claim and supporting evidence in your thesis statement. This formula for writing the main premise of any essay works across all academic disciplines. If you need help with writing high-quality college or university papers, we have a pool of professional thesis writers ready to help you. Get in touch with us today for unmatched thesis writing services worldwide.